Enhance your natural beauty with luscious beautiful eye lashes that look spectacular all day, everyday. If you’re wanting to add definition to your natural beauty, or feel like being playful with your look, then you will love our eye lash lift! Semi-permanent eyelash extensions are natural-looking, synthetic eyelashes applied one by one to each individual natural lash. 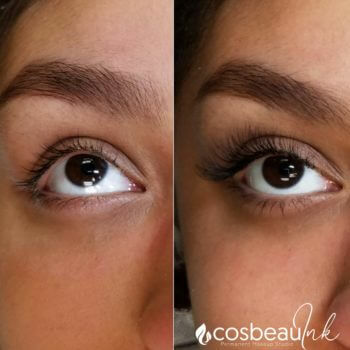 These eyelash extensions were developed to mimic your natural lashes. A natural look is achieved by a meticulous and artful application of synthetic lashes, all applied one by one to your natural lash. Classic: The application of a single synthetic lash to one natural lash. Volumination: Adding multiple eyelash extensions to one single natural eyelash to create depth, volume, and texture to calculate accurate design opportunities. 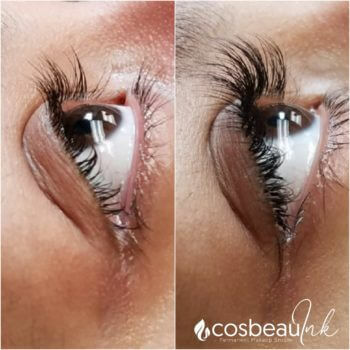 Hybrid: Combination technique whereby both single extensions and 2d/3d extensions are applied safely to 1 natural lash. 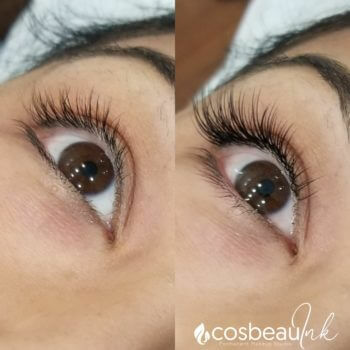 We provide the highest quality of Silk and Mink lashes and related products that are exclusively developed to the highest standards for safety, quality, and performance by a team of scientists, physicians and expert lash stylists. Eyelash extensions are never applied directly to your eyelids therefore will not harm your eyelids or natural lashes. During this pain-free procedure, you will recline comfortably with your eyes closed throughout the application. Depending on the number of lashes applies; application may vary from 90-150 minutes to complete. Re – lashes to occur 2 weeks after (not to exceed 3 weeks), for approximately 60-75 minutes. When properly applied and maintained, our extensions can last indefinitely with touch-ups done every 2 weeks. A natural lash typically falls out every 60-90 days and is replaced with the growth of a new eyelash. At any given moment, each of your natural eyelashes is at a different stage of its life cycle. As your natural lashes shed, the extensions that are attached also shed, and new lashes begin to grow. Therefore, it is expected that lashes can shed post session as well. With re-lashes, new extensions are added to the newest lashes to replace those that have shed to maintain a full, natural look. Wake up to longer, thicker and fuller lashes every day! Avoid touching or rubbing the eyes.